Affiknitty -: MOTH is a four-letter word! I swear I just thought about going to Costco with the coupons to buy freezer bags! This is knitting telepathy! 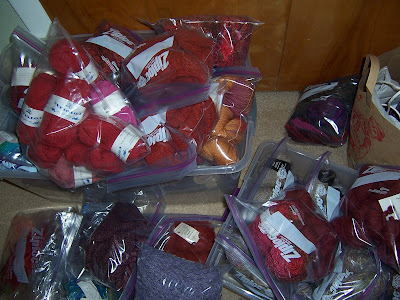 I was thinking of treating ALL new yarn to the house with the cold shoulder treatment. (A couple of days in the freezer!) and then into the ziplock if not being used immediately. Am I CRAZY?!? !